There are many circumstances when a lock change is required. If you lost your keys or just moved in, it’s advisable to turn to a reputable locksmith company for a lock change in Brampton as soon as possible. From door lock replacement to cabinet lock repair, our team can handle any task. Don’t hesitate and get in touch with our company if the safety of your property has been out at risk. 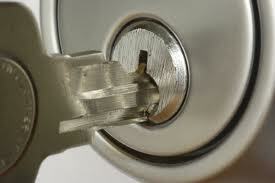 Locksmith Brampton is a leading service provider in the Brampton area in Ontario. Our skilled locksmiths can change locks on any door including exterior and interior doors, patio doors, garage doors, and side gates to name a few.We are trained and experienced to handle multiple tasks, from a simple key change to high security lock repairs. Once we receive your call, we will arrive to your placefully-equipped to perform any lock repair service you require. Our team is committed to delivering high-quality services at pocket friendly prices. Whether it’s a lock rekey or the access control replacement, you can be sure that we have your back well-covered. We offer a wide range of locks from leading manufacturers and can assist you with lock replacement as well. Are you in need of lock installation service? Our team is at your disposal! Our Brampton lock change specialists will gladly help you choose the right option that will make your property more safe and secure. Be it the Master Key system or deadbolt installation, we will complete the job to your full satisfaction. Our locksmiths are ready to assist you 24 hours a day, 7 days a week. It means you can contact us whenever you face some emergency. Just give us a call and we will take care of the rest!